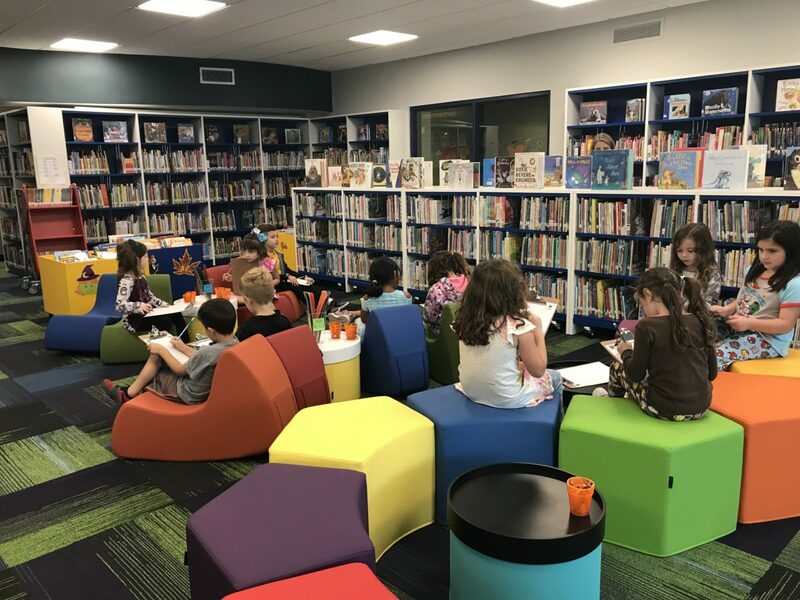 The Miller Place School District recently opened the doors to the new library space at Andrew Muller Primary School (AMPS). The space is designed to support a love of learning, engineering and research in a modern world. The library houses over 11,000 books. Book bins in the library are at student height, enticing them to peruse non-fiction topics of interest alongside high quality chapter and picture books. Underneath, and on other shelves, six tablets are available for students to learn basic coding and computer graphics/painting. A Lego wall, robots and other building materials are strategically placed around the library as they spark student’s imagination and problem solving skills. Students can sit on colorful chairs, relax in soft recliners, lay on cushioned cubes or sit on reading risers. Most furniture and storage bins are on wheels, allowing for flexible spaces to work. Even the Smart Board is movable enabling demonstrations to take place anywhere in the library. During library visits, classes will split in half—one half working on literacy activities, and the other half working on Makerspace activities. 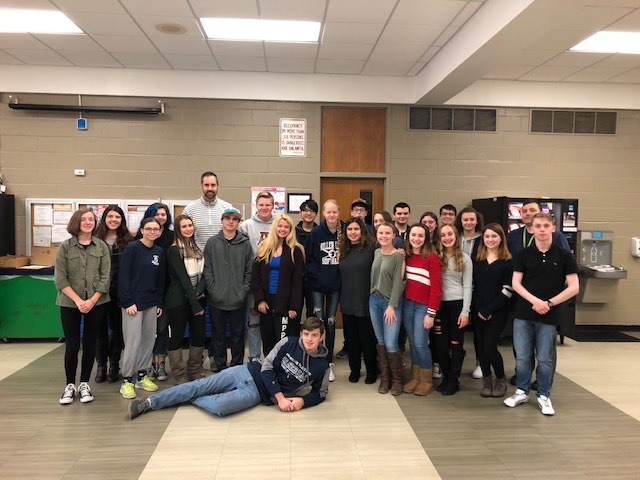 Dozens of Miller Place High School student athletes have chosen to take a proactive approach to the issue of rising substance abuse on Long Island by becoming involved in the Athletes Helping Athletes (AHA) program. Throughout the school year, MPHS’s AHA members visit students at Laddie A. Decker Sound Beach School (LADSBS) and North Country Road Middle School (NCRMS) to discuss the significance of leading a drug-free lifestyle, the advantages of being involved in extracurricular activities, and the value of working towards a leadership position in the community. The group of high school athletes meet with students at Laddie A. Decker Sound Beach School (LADSBS) and North Country Road Middle School (NCRMS) to talk to them as friends in an unstructured, relaxed, non-threatening environment. During visits, AHA members cover a variety of topics including self-esteem, sportsmanship, bullying, and substance abuse. LADSBS and NCRMS students have an opportunity to ask questions in an inclusive and judgement-free zone, and hear first-hand stories about the AHA members’ encounters with friends, family or teammates who have found themselves in complex situations. The Athletes Helping Athletes organization trains and prepares high school student athlete leaders to address complex social issues and provide alternative solutions to the peer pressure often times faced by younger members of the community. 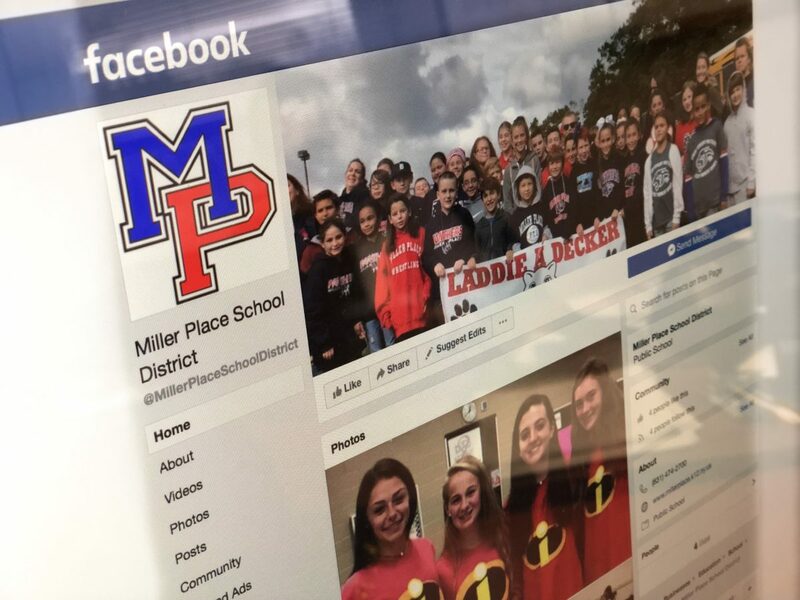 The Miller Place School District is pleased to announce the launch of the District’s official Facebook page! To keep up with the emerging technology-dependent society we live in, the social media account will be operated as an additional platform to promote District and school-specific events, activities, and accomplishments with members of the Miller Place School District community. “As social media becomes embedded in our daily lives, the District is excited to offer our community another form of communication regarding school news and accomplishments through a Facebook page,” said Dr. Marianne Cartisano, Superintendent of Miller Place School District. The objective of the social media account is to provide information to the Miller Place School District community. The Facebook page will disseminate information regarding District and school programs, events, and important announcements including Board of Education meetings, emergency alerts, etc. Posts will also include student achievements, academic and athletic accomplishments, and information about informative student assemblies, educational field trips and fascinating student projects. While the page will serve as a platform for the District to broadcast information out to the community about students, staff, and the greater school community, there are specific guidelines followers must adhere to. The page will not permit outside posts. Additionally, commenting will be restricted. While the District understands that Facebook is designed to be an interactive platform, to create a page that allows commenting—and consequently the requirement that the District be able to respond in a timely fashion to comments and/or questions—would require the District to allocate both personnel and financial resources to the close monitoring of the page on a daily, almost 24/7 basis. At the current time, the District does not consider that a responsible use of District funds. For the page’s initial launch, all comments will be restricted, whether positive, negative or in question format. Community members who have questions or comments should continue to use the communication channels they have always used, including contacting a teacher or building principal, or when appropriate, District administration. For more information about the Miller Place School District, please visit the District’s website at www.millerplace.k12.ny.us. In the spirit of giving, Miller Place High School students recently hosted a Thanksgiving Food Drive to help alleviate hunger in the community around the holiday season. Together, students collected hundreds of food items that were assembled and distributed to families in need throughout the local area. 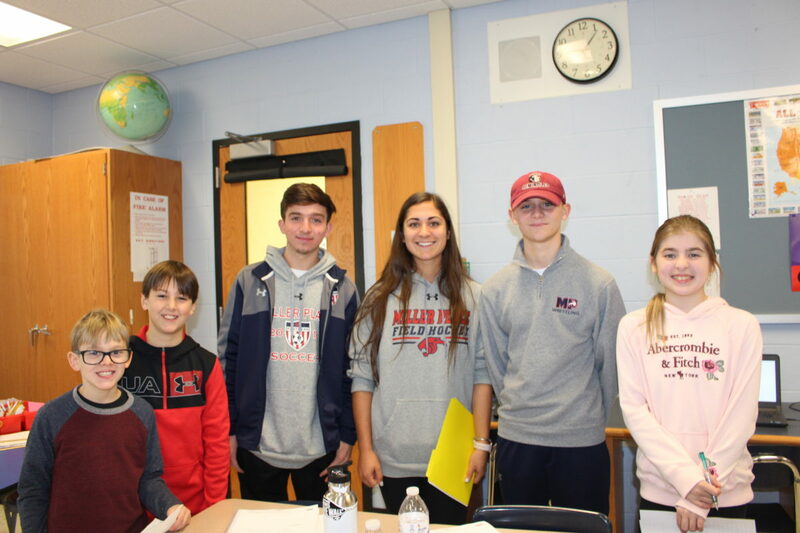 Organized by members of the National Honor Society (NHS), students asked their peers and school staff to donate non-perishable food items, gift cards to purchase turkeys and other perishable items. In each classroom, buckets were filled to the brim with cans of vegetables, boxes of stuffing and mashed potatoes, jars of gravy and other holiday food items. To encourage participation among each grade level, the NHS hosted a competition for first period classrooms. The homeroom class that accumulated the largest amount of donations was rewarded with a bagel breakfast! 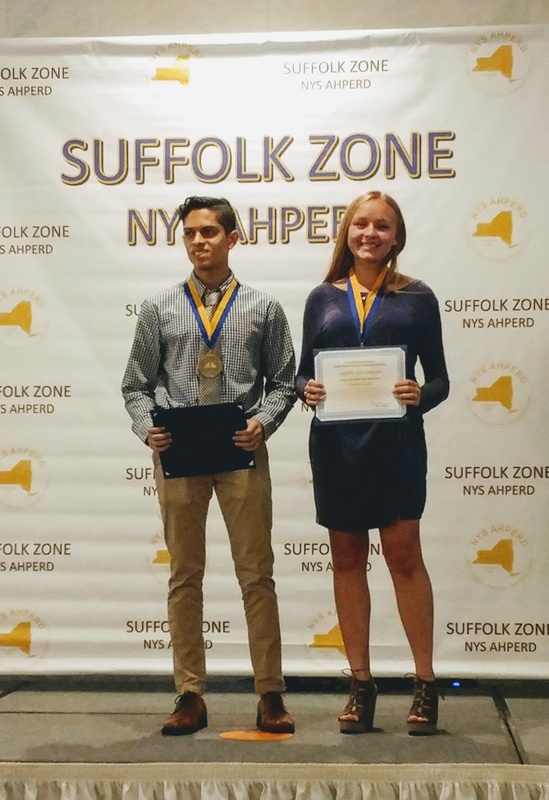 Two Miller Place School District students were recently honored for outstanding Physical Education Achievement at the New York State Association for Health, Physical Education, Recreation and Dance (NYS AHPERD) Suffolk Zone annual dinner. Miller Place High School students, Justyn Badleo and Kimberly Dallas, received awards for their stellar performances in physical education. Each year, physical education teachers from each school district in Suffolk County nominate their best physical education students for this honorable distinction. The selected students not only possess stellar athletic ability but also embody the values of teamwork, leadership, and integrity. The Miller Place School District continues to provide students with opportunities to remain active while helping develop beneficial life-long skills. 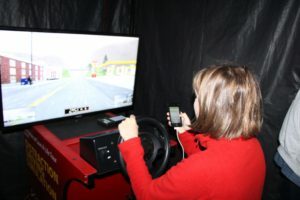 The Miller Place High School recently hosted an interactive driver-safety workshop in an effort to promote safe driving habits among students. The International Save a Life Tour is a comprehensive, high-impact, safe-driving awareness program offered to high school students throughout the country. Miller Place’s seniors learned about the risks of being impaired and distracted behind the wheel using interactive, virtual-reality technology. 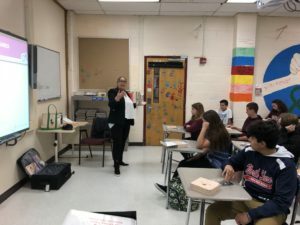 “As upperclassmen in the District enter the world of driving, it’s essential to inform them of the immense responsibility that comes with having a driver’s license,” said Dr. Marianne Cartisano, Superintendent of Miller Place School District. “Each year we have partnered with the International Save a Life Tour, there has been a lasting impact on our students. One of the workshop’s main features is a high-tech driver’s-seat simulator, which mimics the impairments of having a high blood alcohol content. The simulator makes clear to students the dangers of driving impaired and how impaired driving can lead to poor decisions which then lead to crashes, injuries and sometimes death. Students experienced how the brakes and steering wheel “lag” as blood-alcohol levels increase. The simulator also played out how alcohol impacts reaction time and stopping, turning and accelerating. In an effort to promote behavioral changes, students participated in pre and post surveys about distracted driving, and received wristbands after pledging to drive safely. The International Save a Life Tour is one of the most advanced, high-impact Safe Driving Awareness programs in the United States. Students all over the world participate in this program, gaining a realistic and sobering perspective on the dangers of driving while impaired or distracted. 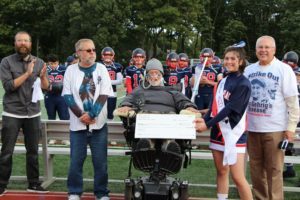 During each fall season, Miller Place High School’s students host benefit athletic games and facilitate numerous fundraising opportunities to raise money and awareness for different charities. This year, the high school’s girls volleyball, boys soccer, and girls soccer teams; and student government raised an impressive $10,000 for five different organizations through t-shirt and bracelet sales, bake sales, raffle baskets, plant sales, and local business donations. The Miller Place Panthers girls volleyball team took home two wins at the Dig Pink benefit game, an initiative of Breast Cancer Awareness Month. In addition to defeating the Shoreham-Wading River Wildcats, the team raised a cumulative $3,660 dollars to benefit two organizations: North Shore Neighbors Breast Cancer Coalition, and Side-Out Foundation. North Shore Neighbors Breast Cancer Coalition is a local non-profit organization dedicated to providing funds to families with a family member combatting the disease. The Side-Out Foundation is an organization devoted to cutting-edge breast cancer research. 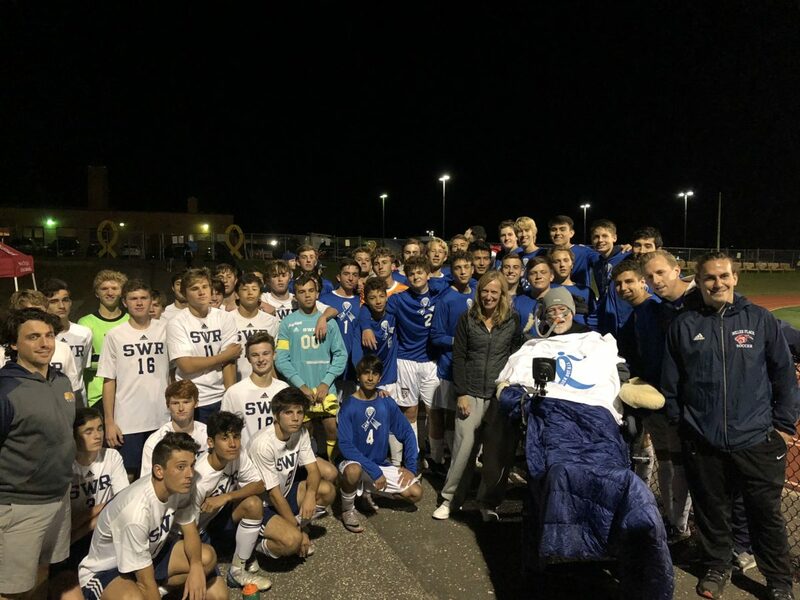 The Miller Place Panthers boys soccer team was determined to “Kick Out ALS” at their benefit match against the Shoreham-Wading River Wildcats, who they conquered 2-1. Collectively, the boys were able to raise a total of $2,300 for the Ride for Life Foundation, an organization dedicated to raising money and awareness of Amyotrophic Lateral Sclerosis (ALS). The MPHS student government also contributed to the Ride for Life Foundation this year. During Spirit Week and Homecoming weekend, the high school raised an additional $3,300 to donate to the organization. 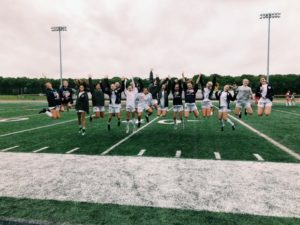 The Miller Place Panthers girls soccer team played in their annual Kicks for Cancer game, a local initiative for athletic programs to raise money for various cancer research organizations. This year, the lady Panthers raised $750 for the American Cancer Society, a nationwide and community-based health organization dedicated to eliminating cancer as a major health problem. The Miller Place School District (MPSD) recently welcomed alumni and friends back to Miller Place for its annual Homecoming Weekend on October 13, 2018. Throughout the week, students and District faculty exhibited their school spirit and Panther pride in anticipation of the parade and big football game that took place over the weekend. This year’s festivities included Pajama Day, Wacky Wednesday, Character Day, and Spirit Day. To kick off the beginning of spirit week, students celebrated Pajama Day, coming to school dressed in their coziest and most colorful pajamas. 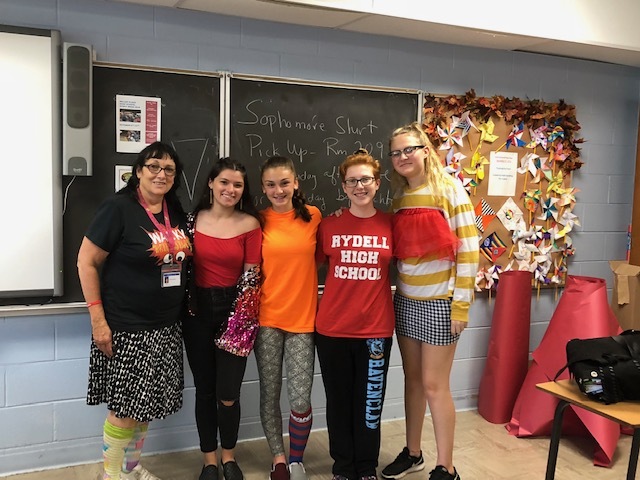 On Wacky Wednesday, students sported their most imaginative and wildest outfits wearing mismatched socks, neon colored clothing, and silly hairstyles. On Character Day, the hallways were full of students dressed as their favorite persona. Outfits ranged from Disney characters to professional athletes to literature characters and historical figures. On Spirit Day, students dressed in school colors to exhibit their Panther pride. Winners of the homecoming court were announced during the pep rally celebration. Sean McNulty and Laura Broome, two members of the senior class, were crowned as 2018-2019 Spirit Week’s Homecoming King and Queen. On Homecoming day, Panther cheerleaders, members of the MPHS pep band, and students from each building in the District marched alongside the handcrafted and decade-themed homecoming floats. Also in attendance was Mr. Chris Pendergast, a Miller Place resident and courageous fighter of Amyotrophic Lateral Sclerosis (ALS). The parade began at the Miller Place Fire Department South and navigated to the high school’s football field where the MPHS Panther’s football team played against the Comsewogue Warriors. The Panthers took home the win, defeating the Warriors 28-15. 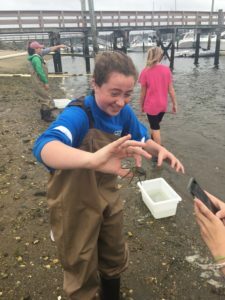 Seventh graders from Miller Place School District’s North Country Road Middle School recently explored Cedar Beach and Satterly’s Landing in Mount Sinai as part of the District’s seventh grade ecology curriculum. The exploration helped the students gain a deeper understanding of the ecological scientific concepts they were studying beyond what they could learn solely from a classroom study. 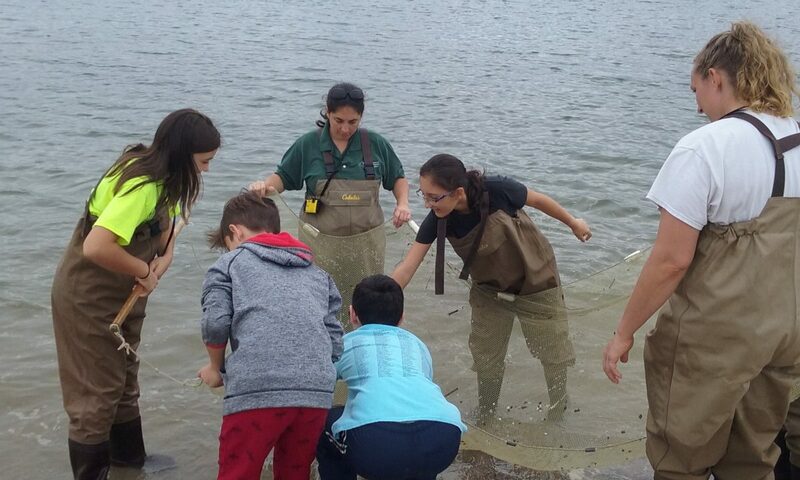 Students participated in interdisciplinary activities with members of the Long Island Sound Study, Department of Environmental Conservation, and the Town of Brookhaven to learn about the habitats of several species of marine life located in Mount Sinai Harbor salt marshes. The seventh graders took a hands-on approach to learning by conducting field testing. They used water monitoring equipment to test the local water for various factors, such as dissolved oxygen, pH levels, phosphates, nitrates, salinity, and turbidity. Back in the classroom, students analyzed the data they collected to assess the health of the Mount Sinai Harbor ecosystem and discussed its importance for the Long Island Sound. The Miller Place School District is thinking pink this October by kicking off Breast Cancer Awareness Month with the Maurer Foundation’s breast health education program at Miller Place High School. The forty-minute presentation emphasizes different initiatives students can take in their everyday life to reduce the risk of breast cancer. 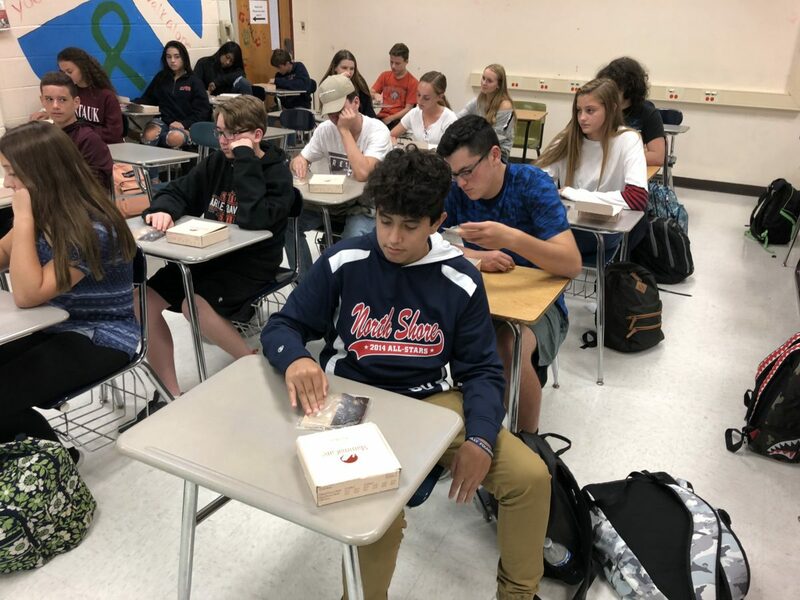 Students that are presently enrolled in health class—a requirement of the district’s health education curriculum—were taught different breast health initiatives during their scheduled class. Students engaged in discussions on proper nutrition including portion sizes and food product packaging details. Students learned how to conduct a proper breast self-examination through practicing on silicone breast models, a unique aspect of the breast health education program the Maurer Foundation offers. The Maurer Foundation’s mission is to save lives by promoting breast health education—breast cancer prevention, healthy lifestyle choices, and early detection and risk reduction. Since 1995, the Maurer Foundation has spoken to over 300,000 high school and college students, parents, coworkers, and neighbors. The Maurer Foundation is commonly known for their unique approach to promoting breast health education—take action, local, and youth education.